Diving is becoming an increasingly popular activity for water enthusiasts and travelers, and Bali is considered to be one of the best diving locations due to its clear waters and diverse sea life. With diving now an important part of the tourist industry, marketing strategies are being developed to encourage more sport enthusiasts to try diving. In an effort to attract more diverse crowds, many marketing campaigns have taken the digital route. One example of a diving company that has extended its digital reach is The Diving Equipment and Marketing Association (DEMA) through its online marketing campaign. The Association created a dedicated diving website called GoDive.com that has a wealth of information on the different aspects of the sport. 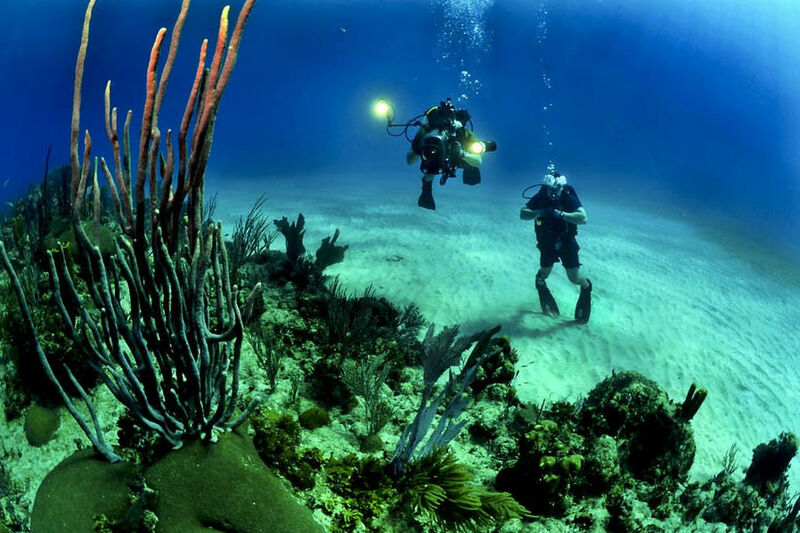 The site has a dive center locator, detailed information on top diving destinations around the globe, and even serves as a medium to connect with fellow divers—both amateur and professional. For instance, divers could use the site to find local dive centers, diving spots and fellow divers in Bali. GoDive has a strong social media presence on Facebook and Twitter, with regularly updated posts that share news and diving information. Through various tourism packages, diving has also become a vehicle that has spurred positive change in the name of nature's welfare. The New Straits Times reports that “End in Sipadan” is a diving campaign mounted in the seas of Sabah which began in 2016. Through coral planting and artificial reef building, divers are able to appreciate diving more as they are given the opportunity to help preserve aquatic life. Tourism departments from different tropical countries who are famous for diving destinations, like Sabah, have used the environmental angle as an effective marketing strategy. Through this advocacy campaign, anyone, from sports enthusiasts to budding environmentalists, can help take care of the ocean while also enjoying it. The participatory roles of different forms of multimedia have also played a crucial role in making diving and other water activities more popular and appealing. In film, discovering the deep blue has been a popular theme and subject in Hollywood movies like 20 Leagues Under The Sea, The Pirates of the Caribbean series, and The Life Aquatic with Steve Zissou. These films may have very well encouraged viewers to follow their interest for the ocean through diving. More recently it was reported that the new series of Blue Planet II by famed naturalist David Attenborough had increased interest in diving. In the same article, Bali was recommended as the perfect location to experience many of the sea creatures from the series. Outside of films and documentaries, interest in the sea can be found across multiple platforms. In the online entertainment gaming industry, Wipeout on gaming portal Slingo features images of watersports and the beach lifestyle. This shows how the sea is prevalent through all outlets of popular culture. While series like the Blue Planet II and Wipeout are not adverts for diving, they play an important role in raising awareness of the sport through association. If you’re going to try diving for the first time, Bali is an ideal destination to do so. Known for its pristine beaches, warm weather, and rich marine ecosystem, this island has been a haven for diving enthusiasts around the world. Here on Ok Divers we have listed the five best diving experiences in Bali that show why it is considered the world’s premier diving spot. If you are interested in sea life and adventure you can swim with Manta Rays, or explore underwater wrecks.